Our primary focus is couple satisfaction and premium quality. We are a boutique studio and believe in quality over quantity so once you book your date, that date is yours and yours alone. We were extremely pleased with the photography services provided Malachi and highly recommend Malachi for weddings; formal and informal events; and group, family, and individual photos. Malachi's owners Darnell and Kimberly Williams, are very nice and easy to work with. They are responsive and flexible, and were willing to meet us at our convenience, on very short notice, at the locations of our choosing. They put customers first and are very accommodating. Over the course of our wedding preparations and through the end of the reception, Malachi took over 1,000 photos, all of which we had access to for our final album. Again, we highly recommend Malachi. You won't be disappointed. Malachi Photographics, in Locust Grove, was recommended to us through a friend and we could not have found better people to take our engagement photos and the photographs for our wedding day. Not only were the photographs fantastic but Darnell, Kim, and Janice are all such phenomenal people. They are so warm, friendly, funny and extremely professional! They could not have made us feel more relaxed and at ease while having our photos taken. . They interacted with everybody, and made people who didn't like having their picture taken feel at ease. They made the entire wedding party and our guests feel very much cared for, way beyond the call of duty. We have had so many glowing comments from our guests about the way they handled taking photos of everyone. Throughout the day people didn’t even notice that they were there because they blended in so well. All our friends and family members commented on how great they were and how hard they worked for us. Those comments came during the entire event and still haven’t stopped, almost 4 weeks after the wedding. The photos taken were simply outstanding, and there are a combination of formal and informal, color, and black and white. To be honest, we really can't thank them enough for all of their help on our wedding day and for the top quality photos and the presentation of them. It was a really enjoyable and memorable part of our day, which we thank them for, and will never forget them for it. We would most definitely highly recommend them! Malachi Photographics provided excellent services for our September wedding. They were prompt, friendly, professional, and very creative. Darnell and Kim made sure that we got as many quality photos as possible. We were quite impressed with how soon our photos were available to us and our guests online. We were definitely pleased with Malachi Photographic's services and would recommend them highly to friends and family. 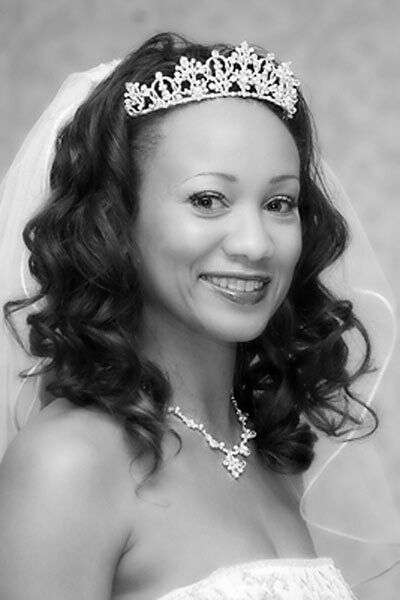 Malachi Photographics was extremely professional and really worked with us to make our wedding day extra special. We were extremely delighted with our engagement photos and wedding album, not only for their high quality but also for the many personal and unique touches that were included. Darnell and Kim truly have the gift of capturing the moment and put their heart and soul into our wedding and it showed in the finished product. We highly recommend Malachi Photographics for any of your photography needs. Appointment Only -- Call Today!! !